Just imagine the peace of mind knowing that while indulging yourself with hydrotherapy, you’re also using nature’s method to purify your water. At Hydro Systems we offer you the choice of adding HydrOzone to your Hydrotherapy system. HydrOzone introduces natural ozone to immediately begin sanitizing your water while running your hydrotherapy system. This revolutionary feature creates an anti-bacterial environment in your bath and plumbing system. It’s an easy and cost-effective way to ensure a sanitary bathing environment every time you step into your tub. HydrOzone is standard on the Designer, Maestro and Metro Collections. Ozone is made naturally from the oxygen we breathe. Instead of having two atoms of oxygen, ozone has three, with the extra atom creating a powerful and natural sanitizer. In water, ozone lasts just long enough – less than one second – to do its purification job. Then it reverts back to regular oxygen, leaving no by-products in the water. Ozone is 200 times stronger than household bleach as a purifier. It has been used for over 100 years to sanitize municipal water sources. The City of Los Angeles now operates one of the largest ozone municipal water treatment plants in the world. 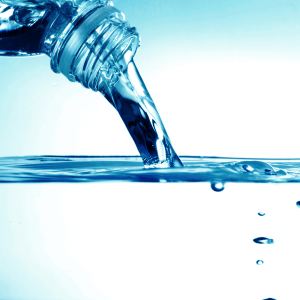 Almost all bottled water is treated with ozone. And more than 90% of hot tubs and spas already use ozone sanitation systems – not to mention the White House swimming pool and most major water parks and large aquariums. Ozone is automatically introduced to the bath water when the pump is turned on. The HydrOzone system will operate maintenance-free for 9,000 one-hour bathing sessions. That’s a one-hour bath a day for approximately 25 years!